During your wedding reception, you guests will also be situated in their tables. This is where they will mingle with other guests and wait for the food to be served and where they will view the events done in a wedding reception. That is why you need to make it a point that your wedding tables should be made comfortably for your guests. They will sit there for at least 2-3 hours and you'd want them to be pleased. The best way to decorate tables is to use the right wedding centerpieces. 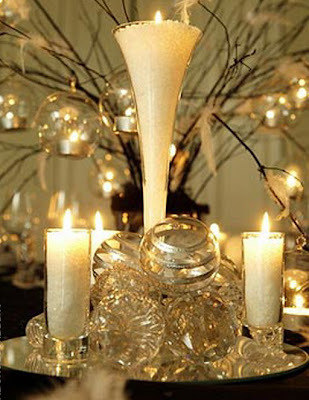 Your centerpieces should also conform to the overall theme of the wedding and wedding reception. Most of the time, wedding centerpieces used is based on the season. Wedding couples prefer having their weddings in summer because of the warm temperature and the variety of wedding ideas it can offer you. Having a wedding in summer can give you the option to have a beach or garden wedding. Luckily, wedding centerpieces for a summer wedding isn't hard to find. Here are some perfect centerpieces for your summer wedding that you can choose from. One of the best and most popular wedding centerpieces of all time is flowers. You can never go wrong with putting flowers as your table centerpiece. And during summer, all flowers are in bloom so you can get to choose from different types and colors of flowers. It is also cheaper to order flowers during the summer because they are all blooming. For your centerpieces, you can use the type of flowers used in the bouquet or in the aisle where the bride walked. If the flowers are too expensive, opt for a cheaper version but keep the colors and arrangement same. 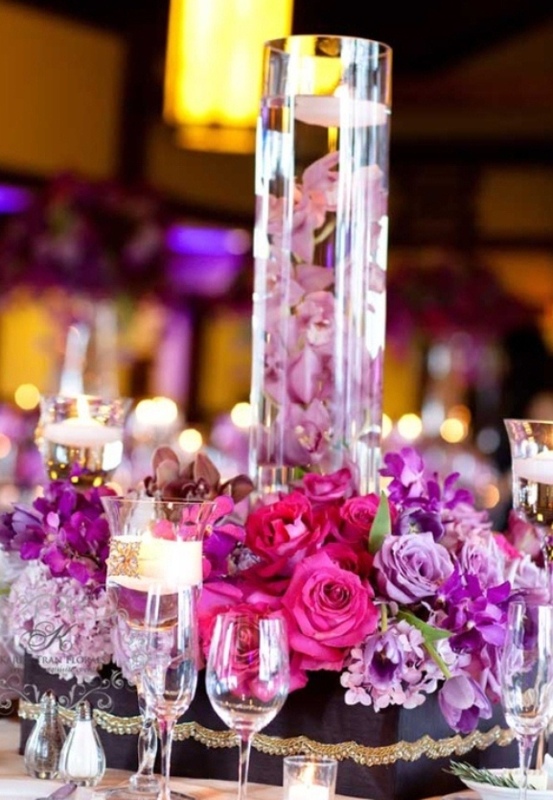 Another option is to make your wedding reception livelier by putting bright colored flowers in each table. You can make your wedding centerpieces different from one table to another. If you want height in your wedding centerpieces, Calla Lilies are the best flowers for the job. You can simply get three buds and put it in a vase with half-filled water. Remember that the size of your wedding centerpieces will also depend on the size of your table. If you are having your wedding in the beach, you can have sand buckets as your wedding centerpieces. Pick a nice looking sand bucket and fill half of it with sand. You can place different colored sea shells and cute toy shovels on top. 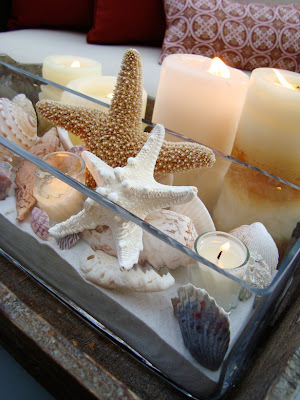 This is such a cute and appropriate wedding centerpiece for a beach wedding. Summer is also a good time for herbs as they are all growing as well. You may want to put well designed ceramic pots and fill them with herbs. 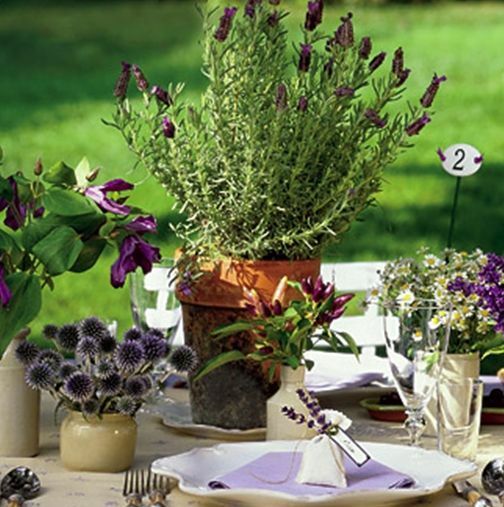 It will be nice to use herbs with therapeutic scent like Lavender, Fresh Mint, and Rosemary. And for a night wedding, you can never go wrong with candles as wedding centerpieces. They are very romantic at night. You can use different patterned and shaped candles that you can just arrange. Floating candles on a bowl is also a great idea and you can put rose petals around it.